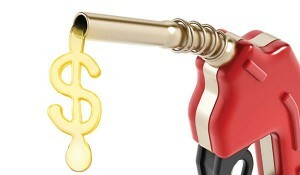 Lifehacker.com.au has written a list of seven helpful tips for commuters who are trying to save money on petrol. Due to the inconsistency of fluctuating petrol prices across the country, Lifehacker has offered up a few ways to “mitigate the damage”. Fill up before you run out: Get into the habit of topping up your petrol tank when prices are low rather than waiting until the last minute when you no longer have a choice in how much you pay. Card discounts: Sign up for credit cards and discount reward cards. Find the cheapest days: Do some research on which days are the best to fuel up. The ACCC has a petrol price cycles page that is updated multiple times per week. Use E10: Use the ethanol-blended petrol if your car is suitable. Use petrol tracking apps: Download apps for your phone so that you can find the cheapest petrol price, in your area, on the go. Conserve petrol: Don’t “push the pedal to the metal” and speed up quickly. Use your legs: Avoid using your car when it’s not 100% necessary. Article based on, and re-written from Lifehacker.